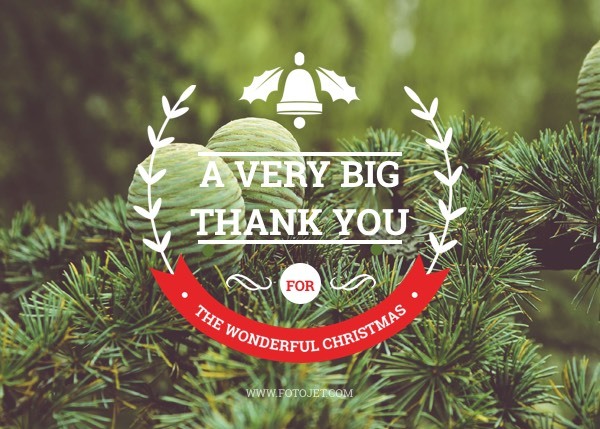 No matter you have attended some carefully-prepared Christmas parties or have received some delicate gifts, you may need to send some Christmas thank you cards to show the gratitude. In order to get some stunning card designs, a better way is to customize yours with this Christmas card template. The design is embedded with a Christmas tree image as a background. It is available for you to upload your own wonderful photos and beautify it as a new background image to finish some photo Christmas cards.